This time tomorrow (as I am writing this post), we will be at the Boise Airport (note that I didn’t say “International Airport”) as we check in for our two flights: first to San Francisco, and then from there to Paris, France! 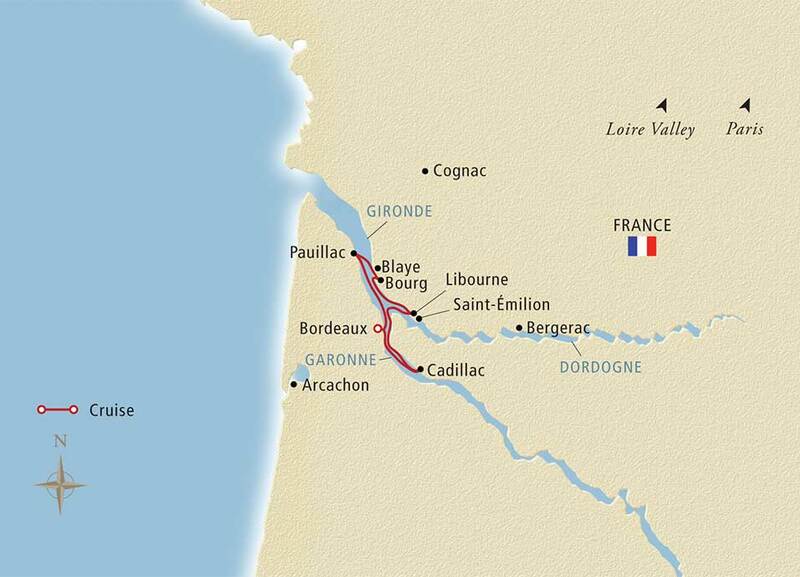 And on Saturday the 13th, we will be taking a train from Paris to Bordeaux and boarding the Viking Forseti for an 8-day river cruise “Châteaux, Rivers & Wine.” I have been to Bordeaux about twenty years ago on a business trip, and even the “run-of-the-mill” table wine there was pretty good; after all, it is Bordeaux wine! Many people are surprised to learn that I have never taken a river cruise! Yes, I have spoken (five times) on a small ship/boat (maximum of 82 passengers) as we cruised the Hudson River, the Erie Canal, and four of the Great Lakes. So I guess technically that could be consider a river cruise. But when most people think of a river cruise, they think of the 200-passenger long boats that ply the rivers of Europe. A change for this cruise is that my wife and I are on as “regular passengers.” I am NOT speaking on this one, and so we get to enjoy the amenities on board right along with everyone else. We have pre-selected our shore excursions to take advantage of mostly the walking tours. The weather forecast is looking pretty good with temperatures that make walking quite comfortable—mostly in the mid-60s. An umbrella is going in the suitcase as rain is always a possibility in that region. There are some Wine Tasting excursions on the program; I have a wine cork dated 2001 from Vignobles Maziere near Saint-Emilion. Maybe I can trade that cork with them for a new bottle. I doubt it, but it doesn’t hurt to try. After all, if I don’t ask them, how can they say, “Yes”? We didn’t book this cruise very far in advance, so there wasn’t much of a cabin choice. We are on the Main Deck, meaning we don’t have a verandah or a French Balcony. But that is fine as I don’t expect that we will be spending much time in the cabin except for changing clothes, cleaning up, and sleeping. There are three UNESCO World Heritage Sites listed in the itinerary, although I don’t know what they are. I’m okay with surprises! As you can see by the map above, we are not going very far on the cruise. It’s hard to tell the actual distances, but a quick check online shows it is 31 miles to drive from Bordeaux to Cadillac, our first stop. That doesn’t sound very far, but with an average speed approaching 10 miles per hour, that means at least 3 hours of cruising along, which is one of the main attractions of a river cruise. Sitting up on the Sun Deck will be a great place to enjoy the view, and perhaps even have a sip or two! Well, it is time to go finish packing that I was supposed to do yesterday. Bye for now! All information and images copyright © 2014-2019 by Stuart Gustafson Productions, LLC. America’s International Travel Expert is a U.S. Registered Trademark of Stuart Gustafson Productions, LLC.